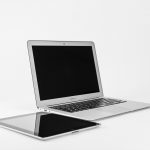 The wide range of computers, tablets and laptops available on the market today can make it a bit difficult to decide what’s right for you. A laptop or desktop PC is nice if you want something a bit more powerful and capable, but you’ll have a hard time lugging around these bigger devices. In fact, buying something too large may entirely defeat the purpose of purchasing a tablet or laptop in the first place. So where do you find the balance between performance and portability? Thankfully, advances in technology have allowed computer manufacturers to pack quite a bit of power into even the smallest of devices. For example, you can find 7-inch tablets that are capable of handling just about any basic task on the web, whether you’re browsing the web with multiple tabs open or watching HD videos on YouTube for hours. When it’s time to pack up and move, you can simply take your 7-inch tablet with you without a second thought. Like any product, whether it’s a tablet or a toothbrush, it’s important to do plenty of research before you actually decide on which tablet to buy. There are a number of different 7-inch tablets on the market which offer similar features but vary slightly, and making the right choice is the key to getting the most out of your purchase. Take a look at our list of some of the top 7-inch tablets that money can buy to help you decide which is the best 7-inch tablet for your needs. Why should you choose a 7-inch tablet? Many 7-inch tablets are significantly smaller and lighter than larger tablets, making them easier to take with you on the go. How much do 7-inch tablets cost? 7-inch tablets can be fairly expensive, but they also make up the cheapest selections on the tablet market, with some options as low as $50. What should you look for in a 7-inch tablet? 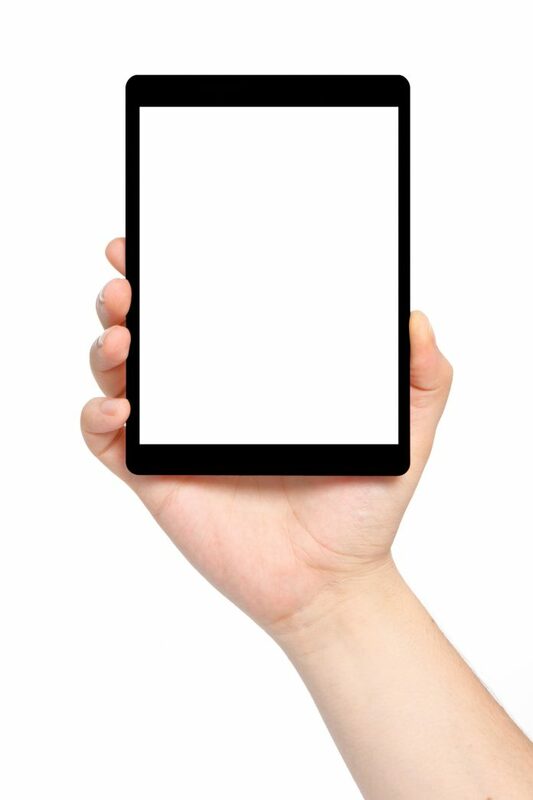 A good 7-inch tablet should have solid power, ample storage space, good battery life and a good camera. Are 7-inch tablets powerful? Although they are smaller, mobile processors and GPU technology allow tablet manufacturers to pack a lot of power into 7-inch tablets—almost as much as many larger tablets. 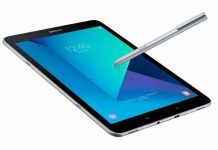 What tablet sizes are available? Tablets generally come in 7”, 8”, 9”, 10”, and 12.9” sizes. To make sure the 7-inch tablet you buy is the best option for your needs, we look at many different factors when putting together this list. Of course, processing power is important when it comes to handling multitasking, but you need to have enough battery life to handle your tasks for a considerable amount of time. You also need a good camera, a solid display, and overall good build quality, among other things. Pricing also plays a role since we don’t want you to get ripped off. Saiborie 49 Value Care Accessories Gift - Including: Screen Protection Film, highly responsive, durable and scratch resistant, easy to install, zero-bubble guaranteed and anti fingerprint; Ipad Mini Case, made with a durable PU leather exterior, reliable auto sleep/wake, powerful magnets keep the front cover sealed and your iPad safe from scratches; Touch Screen Pen (NOT Apple Pencil); Microfiber Cloth. If you’re looking for the best tablet without necessarily worrying so much about price, it’s hard to go wrong with Apple. Apple is one of the pioneers of tablets and has been making some of the best products for years. 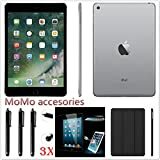 The Apple iPad Mini 4 is no exception, offering the power and functionality you’d expect from an Apple product in a small package that you can easily take with you anywhere. The iPad Mini 4 has a 7.9-inch display that still gives you a resolution of 2048 x 1536 at 326 pixels per inch (ppi). A fingerprint-resistant coating means you don’t have to worry about getting fingerprint smudges on your screen. As far as hardware goes, an A8 chip gives your iPad Mini 4 all the power it needs to handle day-to-day tasks. Apple puts the cherry on top of this tablet with an 8 MP camera that offers a boatload of great features, including panoramic photos up to 43 MP, auto HDR for pictures, autofocus, exposure control, burst mode, tap to focus, a timer, auto image stabilization and face detection. You can also automatically geotag your photos if you want to remember exactly when and where you created each memory. As for videos, the iPad Mini 4 offers 120 fps slo-mo video and 1080p video recording at 30 fps. The Facetime (front-facing) camera is significantly less capable than the rear-facing camera, but it will still allow you to easily chat with your friends. The biggest downside to the iPad Mini 4 is its price which can be expensive. While iPads are great, there are some serious drawbacks to going with Apple for your tablet. For one, iPads cost a fair bit more than other brands’ tablets, so you’re going to spend a lot more money without necessarily getting the best hardware. The other downside is the fact that Apple products, including phones or tablets, don’t support SD cards. 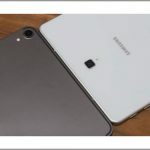 The Samsung Galaxy Tab A7 remedies both of these problems in a big way, offering a lot of power in a 7-inch package that only costs $109.99. The Android 5.1 Lollipop operating system is the perfect companion to the 1.3 GHz quad-core processor. 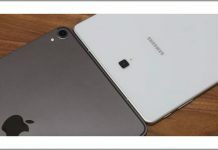 The Galaxy Tab A7 weighs just 0.61 lb and has a 5.0 MP AF rear-facing camera, a 2.0 MP front-facing camera, and 2x digital optical zoom. The 4,000 mAh Li-Ion battery allows you to browse the internet for up to 11 hours, watch videos for up to 9 hours and listen to music for up to 100 hours. If you’re looking for a true portable tablet that won’t set you back too much, the Galaxy Tab A7 is an excellent choice. If you want more storage, simply connect a microSD card to add up to 400 GB of storage to your tablet. Normally you would think a tablet would be a large investment no matter how big or small, but you can actually get your hands on an Amazon Fire 7 tablet for pretty cheap. 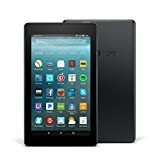 The tablet normally retails for $49.99 but you can get the 8 GB version of the Amazon Fire 7 tablet for as cheap as $29.99 when Amazon is running one of its yearly sales. So, what exactly makes the Amazon Fire 7 tablet so special? The 7-inch IPS screen of the Fire 7 tablet gives you great viewing angles and picture quality, and the 1.3 GHz quad-core processor means your tablet can handle just about any run of the mill task you ask of it. The Fire 7 tablet is available in both 8 GB and 16 GB capacities, and they come in black, canary yellow, marine blue and punch red. As this is one of Amazon’s in-house products, you get access to the Alexa assistant feature. You can use your voice to ask Alexa to make a call, play a song, or tell you what the weather is going to be like today. Just like the Samsung Galaxy Tab A7, the Fire 7 tablet features a microSD slot that allows you to expand your total storage capacity by up to 256 GB, although you’ll have to buy the microSD card separately. 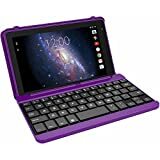 Amazon even makes a range of accessories to help you get the most out of your Fire tablet, including a kid-proof case, a standing case, screen protectors and zipper sleeves for kids. There are some brands you just don’t think about when you’re shopping for a tablet, and ASUS is one of them. However, ASUS makes some of the best computers on the market—which includes tablets. 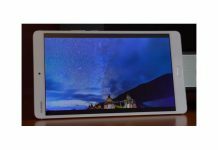 The ASUS ZenPad 7 is a testament to the great products ASUS makes, offering competitive features in a package that rivals any 7-inch tablet in both form and function. To give you additional portability and make the tablet as small as possible, ASUS uses a 72% screen-to-body ratio that makes it feel almost like you’re just holding a screen. ASUS VisualMaster technology combines a number of different software features with the ZenPad 7 hardware to give you the best picture quality possible. Whether you’re watching a movie or simply looking at photos, everything looks great on the ZenPad 7. Six different speakers give you great audio quality, but unfortunately the battery is only rated for six hours of video playback so you won’t have too much time to enjoy it. The ZenPad 7 has an Intel Atom x3-C3230 processor and an 8.0 MP camera which, when combined, allow you to capture stunning photos and videos and edit them on your tablet. You can buy a number of ASUS-designed accessories to make your ZenPad 7 even better, including the Zen Clutch, Zen Case, Power Case and Audio Cover. Unfortunately, the ASUS ZenPad 7 doesn’t have a microSD slot and comes in 8 GB and 16 GB options, but you do get two free years of a 100 GB Google Drive storage plan. According to Lenovo, the Tab 7 Essential is a great entry-level family tablet that you can simply share freely among the family. The truth is, the Lenovo Tab 7 Essential is great for that—but it’s capable of much more. A 7-inch IPS screen gives you enough space to handle most tasks, although the 1024 x 600 resolution leaves plenty to be desired. 1 GB of DDR4 RAM and a 1.3 GHz quad-core processor are enough to handle just about anything you want to do, which includes watching HD video and browsing the web. The 20-hour battery life of the Tab 7 Essential is absolutely incredible compared to most other tablets—even 7-inch models—but the truth of the matter is there are a few major drawbacks to this tablet. While it’s small and only weighs 0.56 lb, the front-facing and rear-facing cameras are only 2 MP. This tablet comes with 16 GB of storage which can’t be expanded with a microSD card, another big drawback unless you don’t plan on using much storage space. The 1024 x 600 resolution isn’t enough to handle HD video, either, so you won’t be able to fully enjoy the quality of modern video. Still, at $79.99 and weighing just over half a pound, the Lenovo Tab 7 Essential is still a great choice if you’re looking for an entry-level tablet or something that you can share with the whole family. While the LG G Pad V400 weighs a bit more than some of the other 7-inch tablets on our list at 0.7 lb, it more than makes up for that with its overall power. LG uses a 1.2 GHz Snapdragon 400 quad-core processor and 1 GB of RAM to give this tablet its power, while 16 GB of built-in storage with a microSD card slot for expansion means you don’t have to worry about filling your tablet up with pictures and videos and having to constantly delete one file to make room for another. The 7-inch IPS screen features a 1280 x 800 resolution which isn’t the greatest but still dwarfs the 1024 x 600 of the Lenovo Tab 7 Essential. You can expect to get about 10 hours of battery life out of this tablet. The rear camera is 3 MP and the front-facing camera is 1.3 MP, so you won’t get the best picture quality out of the G Pad V400, but it’s relatively affordable at around $100. The RCA 7 Voyager Pro is very similar to the Lenovo Tab 7 Essential, featuring the same 7-inch screen with a 1024 x 600 resolution. A 1.3 GHz quad-core processor and 1 GB of RAM give you enough power to handle video streaming, web browsing and basic games, and the Android 5.0 Lollipop OS gives you access to some of the best apps and features that any tablet has to offer. At $69.99 this is a very reasonably priced tablet for a kid’s tablet or anyone looking for something affordable, but it’s not going to provide the features a power user desires.